“Darby is being defamed by this dangerous, bizarre fringe activist because he has dared to speak the name ‘Brett Kimberlin,’ is a member of the National Bloggers Club, and associated with Andrew [Breitbart],” the Club’s president Ali Akbar said in the press release (full text below). Kimberlin, a convicted domestic terrorist who founded two progressive non-profit organizations, has repeatedly filed lawsuits and other legal complaints against bloggers who wrote about Kimberlin’s criminal past. 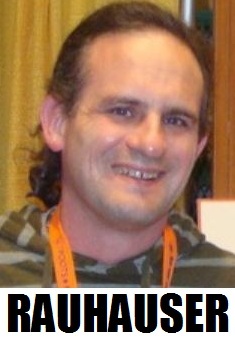 In May, blogger Aaron Walker was arrested after a Maryland hearing in a case involving Kimberlin. Walker was also the target of a SWATting last month. Rauhauser is a political operative who co-founded the Democrat consulting firm Progressive PST. Rauhauser has described Kimberlin as a “client” and, in e-mails and blog comments, represented himself as an agent of Kimberlin’s non-profit 501(c)4 group, Velvet Revolution. Akbar said that the National Bloggers Club will “encourage Darby to use all legal remedies in this clear case of defamation,” including the possibility of “pursuing criminal conspiracy” charges against Rauhauser. UPDATE: Rauhauser’s association with Kimberlin apparently began a year ago, after Rauhauser became obsessed with the cybersex scandal involving Rep. Anthony Weiner, which forced the formerly popular New York Democrat to resign from Congress. Mike Stack, a New Jersey man who played a role in exposing the so-called WeinerGate scandal, was SWATted in June 2011. A week later, Patrick Frey (who had written extensively about the Weiner case) was SWATted at his Los Angeles home. Red State editor Erick Erickson, who had written about the Kimberlin case, reported that he was SWATted in May, and Aaron Walker was SWATted June 25 after he won a Maryland courtroom victory against Kimberlin. Georgia Sen. Saxby Chambliss, Texas Rep. Kenny Marchant and more than 85 House Republicans called on Attorney General Eric Holder to investigate the SWATtings. UPDATE II: Kimberlin’s Velvet Revolution non-profit gained publicity after the 2004 election by leveling accusations of vote-rigging by Republicans. A January 2007 Time magazine article noted that Kimberlin had “found a home in the blogosphere” by “repeatedly asserting as fact things that are not true.” Kimberlin’s organization has also made charges of criminal wrongdoing against such public figures as GOP political strategist Karl Rove, U.S. Chamber of Commerce president Tom Donohue and Supreme Court Justice Clarence Thomas. In October 2010, Kimberlin was the subject of a 3,600-word feature article by Breitbart.com contributor Mandy “Liberty Chick” Nagy. Subsequently, Kimberlin threatened to sue both Nagy and Patrick “Patterico” Frey, and filed a lawsuit against progressive blogger Seth Allen, who had been an outspoken critic of Kimberlin and Velvet Revolution at several liberal Web sites. Kimberlin became the subject of widespread interest last month after Aaron Walker published a 28,000-word account describing how he says Kimberlin tried to “frame” him for assault. On May 29, Walker was briefly arrested after a Maryland court hearing in which Judge C.J. Vaughey ruled that Walker’s blogging constituted a violation of a peace order obtained by Kimberlin. Judge Vaughey’s ruling has been widely denounced as an infringement of First Amendment rights, and is being appealed in both Maryland and federal courts. 1) Hi Rob! Good to see you again. 2) Is anyone tracking the donations Mr. Kimberlin’s organizations have been receiving from Tides, Soros, etc? I don’t have the resources but I’m guessing that an experienced investigative reporter could get at that. I’d like to know if he’s still getting money from these foundations. I’d want to ask the directors of the foundations if they’re aware of his past. I’d want to ask for the copies of the reports that I’m just sure Kimberlin filed with the foundations to account for the money (he did file reports, didn’t he?). As the wise old man once said, follow the money. Of course there is no money to be recovered from the deadbeat Rauhauser. BUT an immediate filing – instead of empty threats – could stop him and his associates from deleting their files, and give the potential for subpoenas to get other records. The story of Brett Kimberlin . . …. Adjoran, respondeat superior … that’s the doctrine that will frighten the Brett Kimberlin crime family. These three all seem to very much deserve each other. It was a scurrilous accusation. 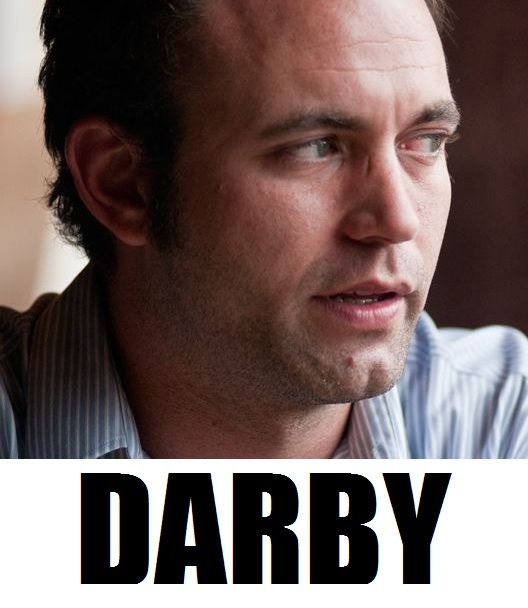 Go, Brandon Darby! He sure as heck repeated the accusation, didn’t he? And said he thought the voice sounded like Darby’s, which is ludicrous. Mid-range male voices lacking strong regional markers was about the only resemblance. Annual report season is upon us; non-profits file their 990’s (annual tax return) on May 15th. It’s usually during the summer that most foundations write and publish their annual reports. By September, at least some 990’s will be up on Guidestar. If you have time, look for Tides and Threshold. As for Kimberlin’s organizations, well, in 2010 both JTMP and VR filed two extensions, meaning the 990’s were not up until after November. It would not surprise me if the same situation applied again. Nonprofits are supposed to hang onto everything – including simple queries – for years on end. You don’t even shred your bank statements for 10 years, generally. Oh, and the books are in the charge of the “Executive Director” (same person for both organizations), who is a lawyer. With all due respect, and I really mean that, this ongoing debacle seems to be turning into a slapping contest. From what I’ve read about all of these goings on for weeks now, there are claims of clear criminal activity. Why is this being played out so publicly without any evident law enforcement involvement? This is like the Hatfields and McCoys but without shotguns.And if the criminal activity is so far untraceable, why isn’t there some sort of rallying on the conservative side to bring in some legal council and civil actions with real consequences? Aren’t there organizations out there with an interest in stopping the criminal harassment and endangerment of people who are simply expressing an opinion or reporting stories?I understand that this has been a horrible experience for several people involved but it just seems to be a never ending game of accusations. Anyway, I hesitate to lay this out like this but it really seems like beyond the point that this needs to dealt with more finality. But an action against Rauhauser wouldn’t necessarily be a ticket to what amounts to the right to audit organizations he works for – unless there is some plausible reason to expect it was part of his duties or he was directed to do it on behalf of the group, would it? I’d bet the guy has no tangible personal assets to seize. Maybe it would be interesting to see what else he’s been up to online and off but, as I said in the first place, we already know he tends to obsessively scrub his tracks periodically and until he is served with some filing there isn’t any way to stop him from continuing that practice. We have a justice department that apparently sees nothing wrong with intentionally smuggling thousands of guns across the boarder and slaughtering hundreds of citizens of our neighboring country in order to advance a political policy of gun control. We have an administration that decides which laws they will and won’t enforce and it some cases appears to make up its own laws as it goes along. We have an administration that turns a blind eye to voter intimidation and fraud when it goes in their direction. We have all of that in the context of a political organization that despises the notion of there being absolute right and wrong, mocks religion, celebrates the killing of babies. Frankly, what do you expect? The Democrats have basically gone to the dark side. They have become evil incarnate and I seriously mean that. This is beyond politics, we are talking civil decency here. They are TRYING to start a “prairie fire”. They have gone off the rails. How any normal, well-adjusted human being can align with that political party and look themselves in the mirror in the morning is beyond me. And the so-called professional “journalists” are a major part of the problem because they are the ones who enable the coverups, the looking the other way, the lying. This is beyond politics, this is basic fundamental right and wrong and they have made quite clear which side they are on. As long as we have Democrats in charge at the federal level and in the State of Maryland, I don’t believe a thing will be done about it. They are corrupt to the very core of their being. I think that you insult uncivilized animals, crosspatch. But it’ll do for now. Utterly outrageous. why no link to the allegedly defamatory statements? I have followed your reporting previously and praised it. Recently, however, you appear to be functioning much less as a reporter and more as a Press Agent for Brandon Darby and the National Blogger Club. Are you being compensated by either Darby/ NBC or any other participant in the Kimberlin Kerfluffle? Who is compensating you to ridicule Kimberlin’s victims? Well, while we probably share similar political philosophies, I don’t see all Democrats as evil. I have too many good hearted but misguided Democrat friends to believe that. With a majority in the House, I just find it odd that the players in this situation can’t find a sympathetic ear on capital hill. Kimberlin sounds like a real jackass who’s willing to break the law as it suits him and with no regard for the personal safety of his opponents. But the response to Kimberlin and his cronies strikes me as having been high on blog postings and low on results. I used to believe that, too. But what I see now is a Democratic party leadership that has become completely rotten and many rank and file Democrats who still haven’t accepted that. Sure, there are some good folks that are Democrats. They need to take a hard look at their political leadership and ask themselves why that is. The Democratic party itself is a party that has no issue killing people to advance its agenda. Do they really want to align themselves with people like that? “Good people” who continue to vote for enslavement are no such thing. They are delusional, believing that they will be exempted from the inevitable chains — or they are themselves tyrants-in-waiting, hoping to be handed a whip to use against the rest of us.